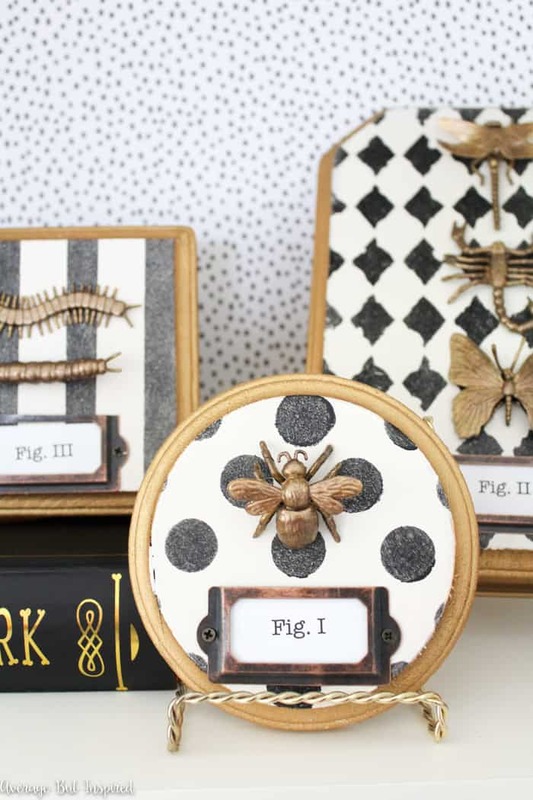 Forget mummies, witches, and skeletons – the thing that scares me most at Halloween is the plethora of creepy crawly insects at every turn. From spiders to centipedes, those little buggers are enough to make me squirm. 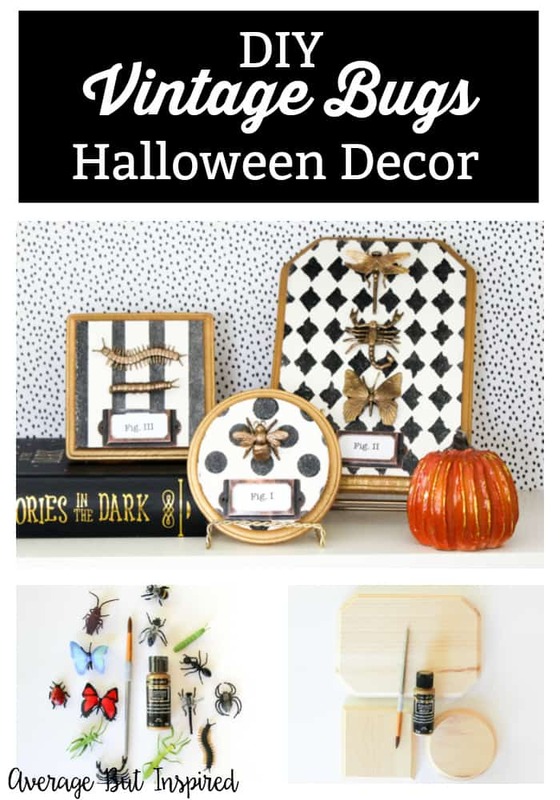 I overcame my fear of these pests to make some Creepy Crawly Vintage Bug Halloween Decorations to add to my interior decor (you saw my outdoor decor in my Halloween porch post last week), and think they turned out too cute not to share! 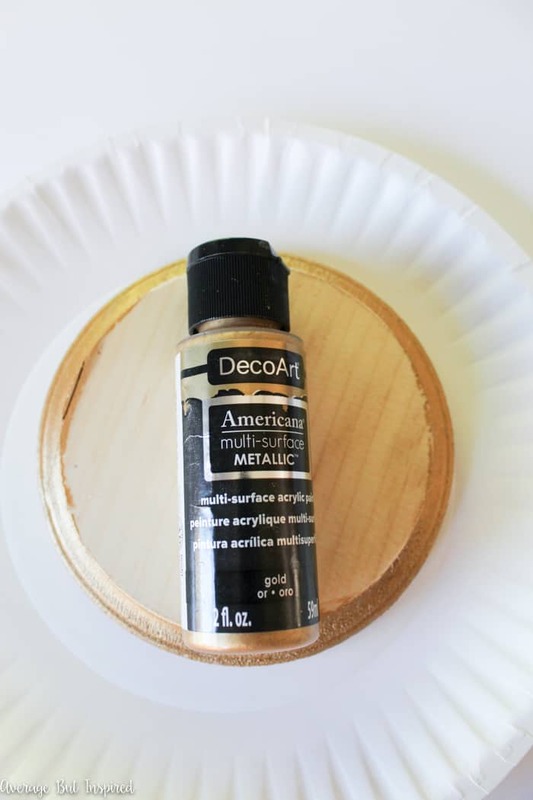 Thank you to DecoArt, Inc. for providing the paint used in this post. The project is all my own. 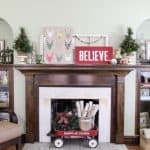 Also, this post contains affiliate links. To read my full disclosure policy, please click here. 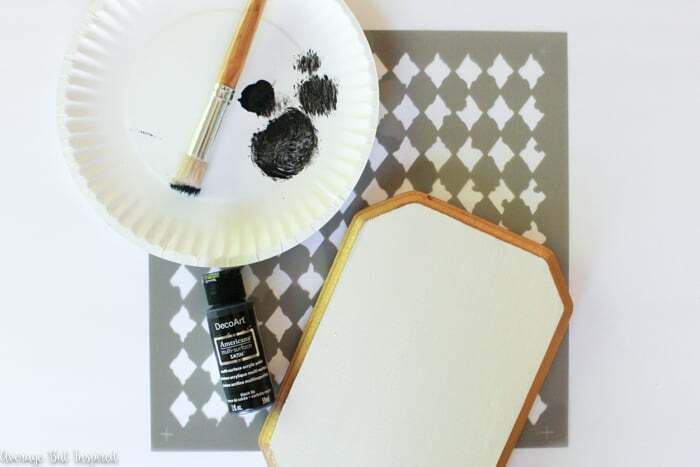 Begin by painting the edges of the unfinished wood plaques with gold multi-surface paint. 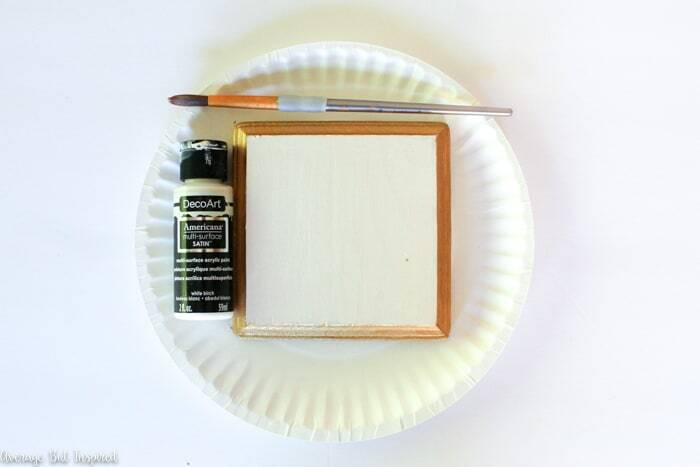 Then paint the tops of the wood plaques with ivory multi-surface paint. 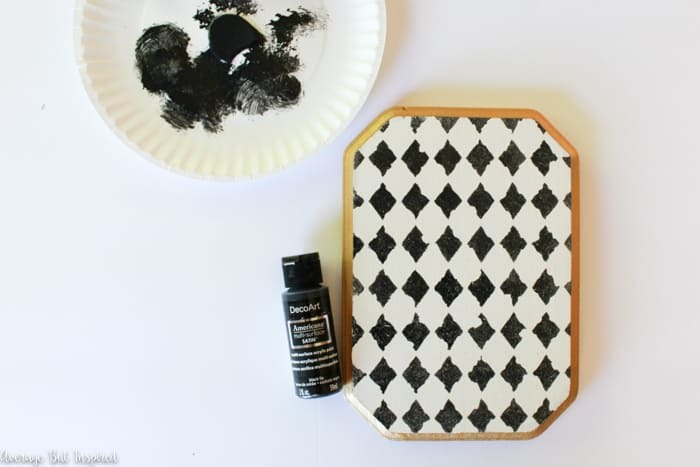 Once the paint has dried, use stencils to add pattern to the plaques with black multi-surface paint. Set the plaques aside to dry. 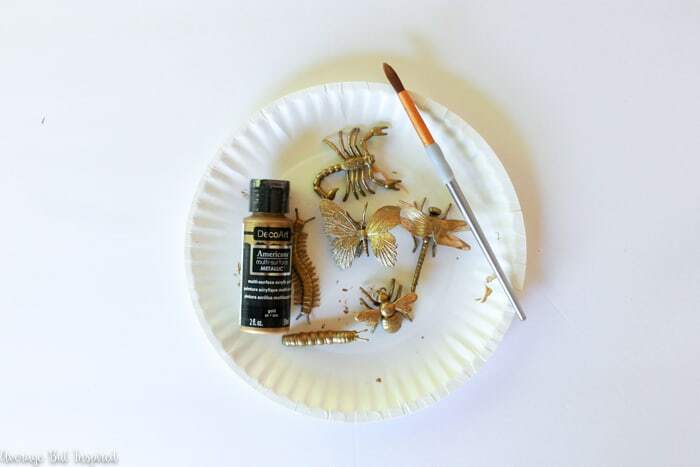 Paint the plastic bug toys with gold multi-surface paint. 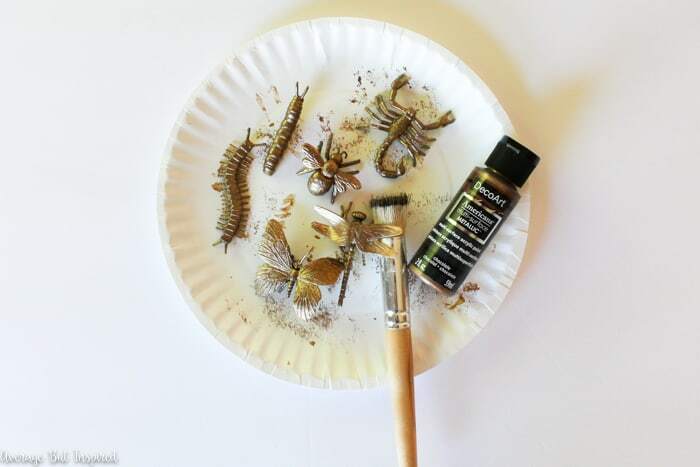 Once that paint has dried, highlight the details on the bug toys with bronze multi-surface paint. This will make the bugs look aged. 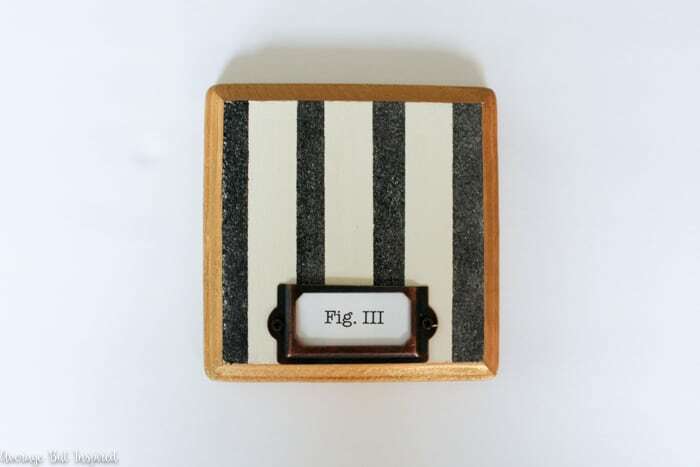 Next, add metal label holders and labels to the wooden plaques. I printed my labels out on regular printer paper. 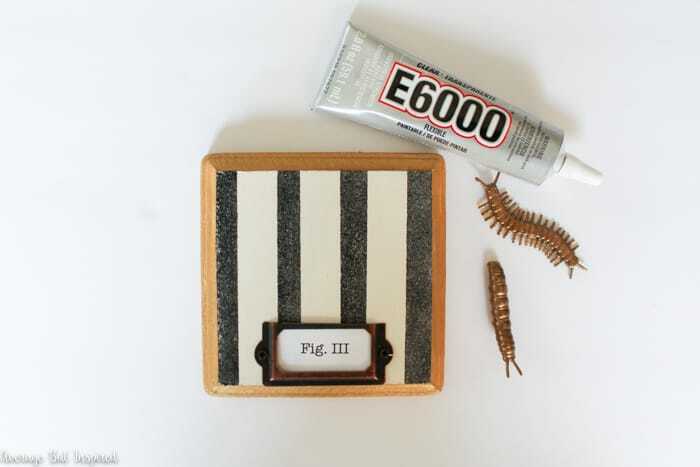 Finally, glue the bugs to the plaques with glue that attaches plastic to wood. 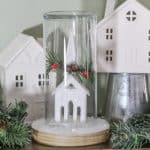 E6000 is my new favorite multi-purpose glue! 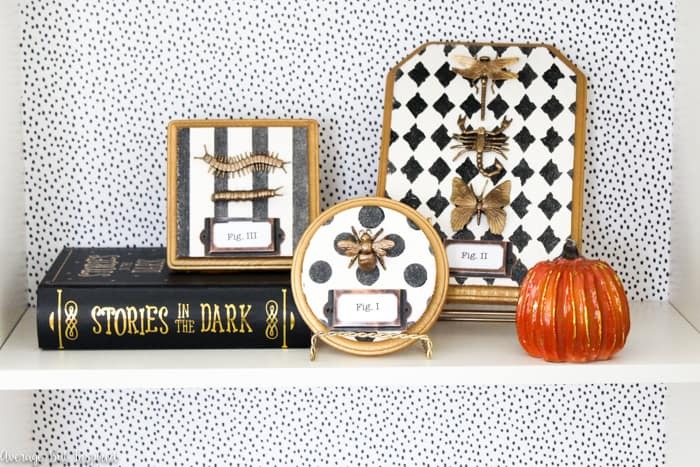 Display the Vintage Bug Decorations with plate stands or tiny easels (I’ve even seen them at Dollar Tree)! Super creepy and also super cute! 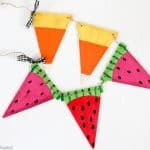 Please PIN this image to Pinterest to help others find this fun Halloween craft project! P.S. 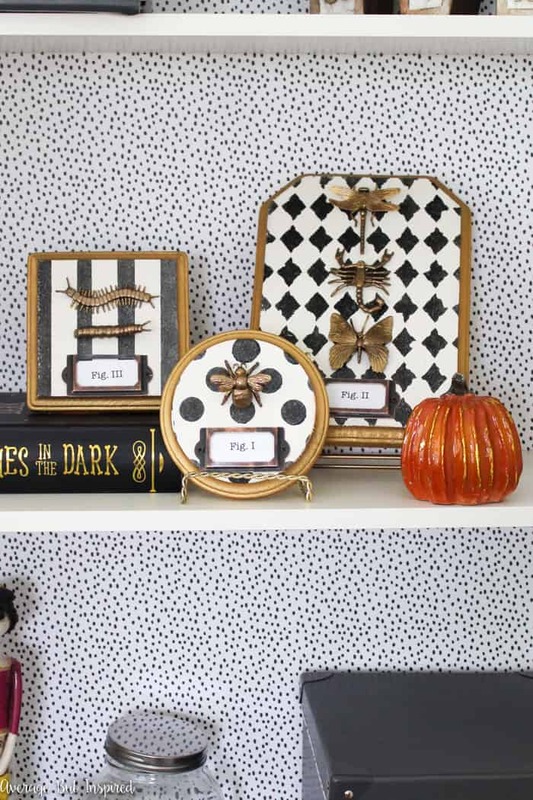 You Might Like this Halloween Wreath Craft Video, Too!